Control Solutions' product line includes AddMe® and ValuPoint® series Programmable I/O devices which are ideal for expansion of virtually any distributed building automation control system. These devices can be used as slave I/O or programmable controllers. 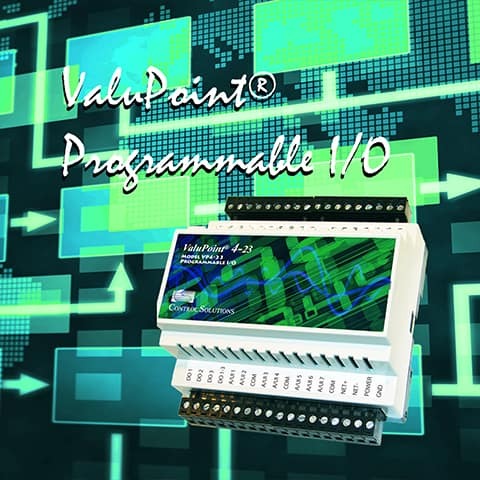 The ValuPoint platform provides a significant leap in economy for programmable controllers. ValuPoint was designed from the ground up with BACnet in mind, and a Modbus version is also available. The AddMe series is Control Solutions' original line of general purpose programmable I/O devices that have a long history as work horses. Programmable I/O is also available for BACnet IP, Modbus TCP, and SNMP. These are found in the Embedded Servers category. The i.CanDrawIt® visual programming tool is available at no additional cost with every ValuPoint controller from Control Solutions. 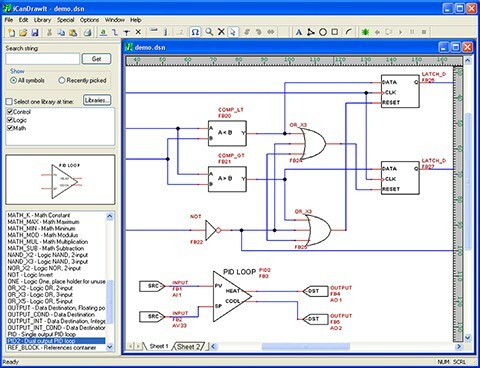 i.CanDrawIt works just like an electrical schematic CAD program, except you draw control programs that look like circuits. The resulting software will function like the circuit you draw. i.CanDrawIt includes visual program simulation as well as visual live debugging where supported by the target device.